Featuring an ensemble cast that includes Christian Bale, Heath Ledger, Gary Oldman, Maggie Gyllenhal and Michael Caine, The Dark Knight movie directed by Chris Nolan for Warner Bros has pushed the creative envelope when it was released. The movie was dark and complex, but was considered a cinematic gem, garnering critical acclaim and conquering the box office. Today, no listing of the best superhero movies is never complete without mentioning the movie released in 2008. But if you think that the movie is now past its prime, well it’s time to check the latest slot game inspired by the classic movie – The Dark Knight by Playtech. Released exclusively for Mansion Group, The Dark Knight slot game focuses on the initiatives of the caped crusader to keep Gotham City safe from the wickedness of Joker. Displayed in a 4 by 6 playing grid, this Playtech slot production offers wilds and two types of bonus games – The Dark Knight Free Games and The Agent of Chaos Free Games, and a progressive jackpot. There are warring sides at the Gotham City, and players get to choose between the caped crusader or the dare-devil exploits of the Joker. In this exciting slot game, players can expect a 50 fixed payline production, with bets that range from £0.20 to £15.00 for every spin. There are two bonus symbols to watch out for – the green and the blue. The blue bonus symbol represents Batman, and this symbol can only appear on the second and third reel. The green bonus symbol is another Batman with Joker in tow, and will only be reflected on the fourth and fifth reels. These bonus symbols work as a 2x multiplier, and can activate the Free Games feature of the slot game. Activate this Free spins mode if you get the blue bonus symbol on reels 2 and 3. This feature rewards 7 Free spins, and the Batman symbol will turn into the wild and will become a sticky symbol during the Free spins. If the green bonus Batman symbols are shown on reels 4 and 5, this will activate another Free spins mode. This feature rewards 7 Free spins and all random-sized symbols are thrown into chaos, giving players a chance to score more winnings. Aside from these two features, there’s also a re-spin feature through Two Face’s coin flip. Bat symbols will offer a re-spin, and tails will continue the game. The last feature of The Dark Knight is the Gotham City Free Games which can be played if the bonus symbols are shown reels 2 and 3, and the green symbols are in reels 4 and 5. Aside from its engaging graphics and storyline, The Dark Knight from Playtech is also considered a progressive jackpot, and comes with 4 different prizes. There are a number of slot games that contribute to the pooled jackpot, giving players a chance to earn the DC Super Hero Jackpot. 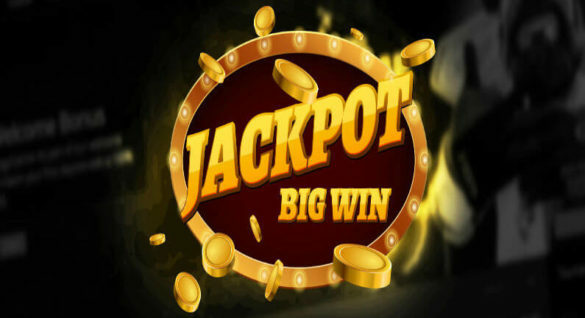 The jackpot feature is randomly activated, and can bring players closer to one of the four promised jackpots. In Mansion Group’s casinos, this game is part of the DC Super Heroes, together with Green Lantern, Man of Steel and Superman II. Where to Play The Dark Knight Slot by Playtech? Currently, Mansion Group and the online casinos under its brand holds the rights to The Dark Night. Mansion Group owns a number of leading casinos that include Casino.com. In this online casino, the game takes center stage as it forms part of the DC Super Heroes Slots, and contributes to the pooled progressive jackpots, making this Playtech slots production as one of the best games to try on the platform. You should definitely start by reading our comprehensive review of Casino.com! Betfair Casino is one of the largest casinos that allows players from all over the world to enjoy not only classic casino games and some of the best slots on the market, but also betting on sports events, bingo, and a fine selection of pokers. Right now, Betfair offers 25 Free Spins, No Deposit - No capped winnings or wagering requirements!